In an age where attention is the world’s most valuable currency, I hope I can please hold yours for a few minutes. For thekid last couple of weeks my soul hasn’t been able to rest, as the desire to crystallize and frame a lifetime’s worth of poker memories has burned so strong within me. I can’t ever remember being overwhelmed as a writer. How can one single essay possibly capture and accurately describe so many incredible first-time, life-changing experiences? 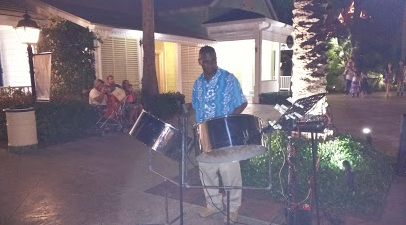 Sparks have been flying around in my brain nonstop since my time at the PokerStars Caribbean Adventure concluded and I’ve been bursting at the seams to tell this story for what seems like forever. 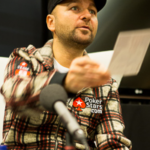 A full playlist worth of videos and a photo essay that I put together for PokerUpdate.com can, indeed, tell parts of a story, but the paintbrushes I know how to use best are my words; I hope I do it justice. I hope my words will enable you to grasp how much gratitude I feel towards so many people. 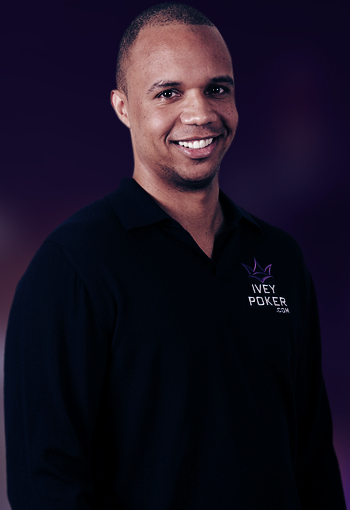 I hope they’ll be able to make you feel what I’ve felt over so many glorious days in poker paradise and what it has meant to me to be given the opportunity to truly be a part of the poker world for the very first time. I didn’t really get much sleep. Except for on my Sabbath, I got four hours or less (usually less) of shuteye each night of my PCA trip. I had vowed to myself that I would squeeze every possible moment of productivity and awesomeness out of the time allotted to me. I’m thankful to have stuck to that vow and I have no regrets for how I chose to spend my time each day. Why sleep when there’s so much action to be had? How can one possibly sleep when so much excitement permeates the air? I love poker. I’ve loved it ever since I learned hand rankings for the first time when I was a little kid. I loved playing for nickels and dimes with my high school friends and remember how sweet it felt to be up two whole dollars at the end of a “session” (my lunch break). 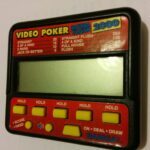 I loved my little pocket video poker machine. I loved finding excuses to go and visit my dad out in the garage on his weekly poker night, so I could be near the action. I loved when he first let me have a seat at his home game, just one time, when I was 16 (I certainly didn’t love losing the $80 that he had given me). 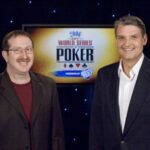 I loved watching poker on TV for the first time in 2003. I was one of those people who kept watching the seven hours of ESPN coverage over and over and over again. Everything about the game of poker has always excited me, and that excitement has never waned; it has only grown with each passing year. Like a lot of people who fell in love with the game during the Moneymaker Boom, I, too, once harbored dreams of being a professional poker player. With time, for numerous reasons, I came to realize that it wasn’t the right path for me to follow. I’ve made choices that landed me in Israel, leading the happy life of a family man, and I don’t regret those choices for a single minute. Living in a poker desert, however, didn’t mean I needed to relinquish poker dreams. Because I continued to love the game so much, I found a way to be a part of it. 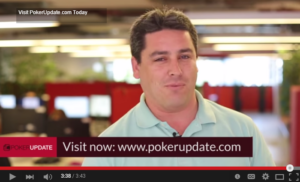 Years of hard work and effort have enabled me to carve out a small niche in the poker world. It’s been an incredibly fulfilling journey. 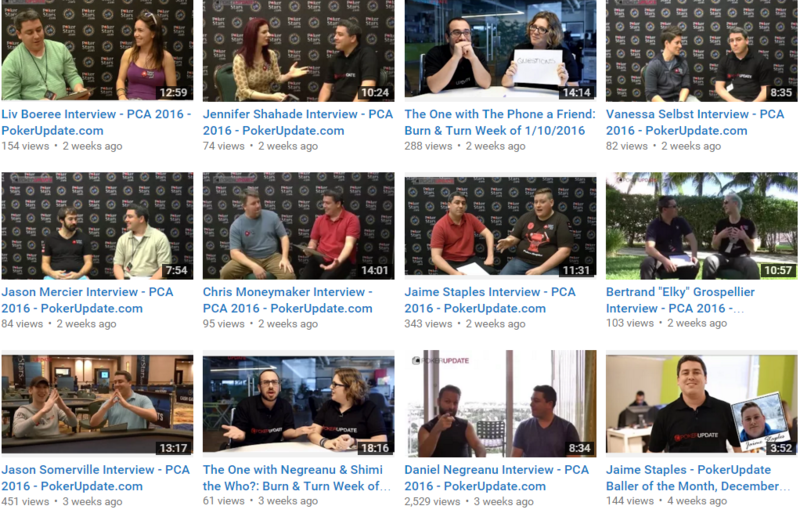 Over the years, slowly but surely, I’ve added layer upon layer to the poker work I’ve done: writing, podcasting, developing a mobile poker app, creating and presenting entertaining poker videos; all the while continuing to play the game with my friends and continuing to consume all the wonderful and exciting content that the poker media has had to offer. How Can It Be Called Work, When You’re Having So Much Fun? One of the biggest blessings in life is to do what you love for a living. I am fortunate to be blessed in that way. The company I work for full-time owns PokerUpdate.com and they’ve allowed me a free hand in creativity to help grow their brand. 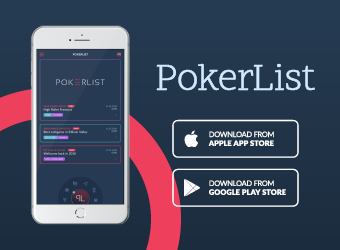 While I have many other responsibilities at the company, everyone is aware of my personal penchant for poker and they’ve given me all the time and tools needed to succeed at getting their flagship poker site on the map. I’m thankful that company management has a long-term view and realizes that it takes time to achieve that kind of success. After many talented people have spent the last year plus working diligently on the site, I can say with tremendous pride that PokerUpdate.com is without a doubt very much on the poker map. My manager usually asks each of us on his team to come to our weekly department meetings prepared to share both a personal and a professional achievement. More often than not, I can’t help but talk about something related in some way, shape, or form to poker. Sometimes it’s the fulfillment of a personal poker goal I’ve set for myself. Other times it’s just me beaming with pride at the fact that we got the attention of one of our Ballers of the Month; that they loved our video and shared the accolade with their fans and followers. I head out to work each day with a smile, so happy to have found a company I can call home that cultivates an environment whereby I can flourish both on a personal and professional level, doing things I simply love doing. 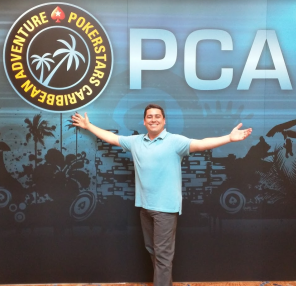 While I’m thankful to have achieved plenty in the poker world, both personally and for the PokerUpdate team, getting invited to attend the PCA simply blew everything else away. As I tried to illustrate in my pre-trip blog post, I knew that everything would change for me and my perspective would be forever altered. And it did. And it has been. Part of what made the trip – nay, the ADVENTURE – so great was that PokerStars allowed me a free hand to quite literally “do whatever I wanted”; just like my company. When bright, intelligent people decide to trust someone, it makes that person not only feel incredibly special and privileged, but also a responsibility to perform at their highest level. When stepping into a brand new world for the first time, there’s quite simply too much to possibly get used to in one go. In retrospect, I’m so happy I gave myself a day and a half upon arriving in the Bahamas to start getting acclimated to the new environment. It shocked my system enough to be in a new country for the first time; to internalize the fact that I’d be staying at one of the finest resorts in the world – chock full of beauty and activities that make the heart swoon. This is a picture I took of the Royal Tower at the Atlantis Resort in the Bahamas. While the PCA is going on, I think it ought to be temporarily renamed the Royal Vegas Tower :-). Once that shock died down a little (because until today it STILL hasn’t completely worn off), I got to meet the amazing people who invited me to join them: Lauren, Scott, Rebecca, Noomi, Lee, and Eric. I could probably write a whole separate post about how wonderful I was treated; how polite, friendly, and amicable the PokerStars PR team was to me. Of course everyone ought to realize that these aforementioned qualities ought to be prerequisites for people working in Public Relations. Nonetheless, once PR people are no longer just email addresses to you and you have the opportunity to meet them in person, work with them day in and day out, look into their eyes, and “get a proper read on them”, you can also tell whether they’re putting on a mask or if it’s genuine. It doesn’t get more genuine than that team. You didn’t just “politely listen” as I rambled on and on over and over again about how excited I was to be there. You actually cared, showed an interest, and, dare I say, let some of that excitement penetrate and uplift you. You didn’t just stick me in a room to interview your Team PROs; you stayed there for the duration, offering repeatedly to assist with operating the video camera and tripod as well as take additional photos. You wisely suggested a variety of different locations and backgrounds for all the shoots, so that the videos wouldn’t all look the same – something I wouldn’t have thought of on my own. 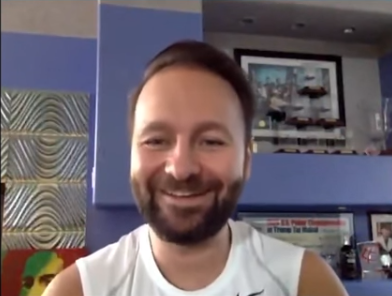 I was covering my first live event, I’d never done a live interview before, and I was doing everything in my power not to appear outwardly overwhelmed as a fan in the presence of poker’s biggest stars. Especially as I alone comprised my entire on-site team, you have no idea how helpful it was to have you there, by my side, and eager to help at all times. There’s no way I could’ve produced the content and coverage I produced without your tremendous assistance. I don’t drink nor do I eat at non-kosher establishments, but that didn’t stop you from making me feel welcome and included in your team activities. 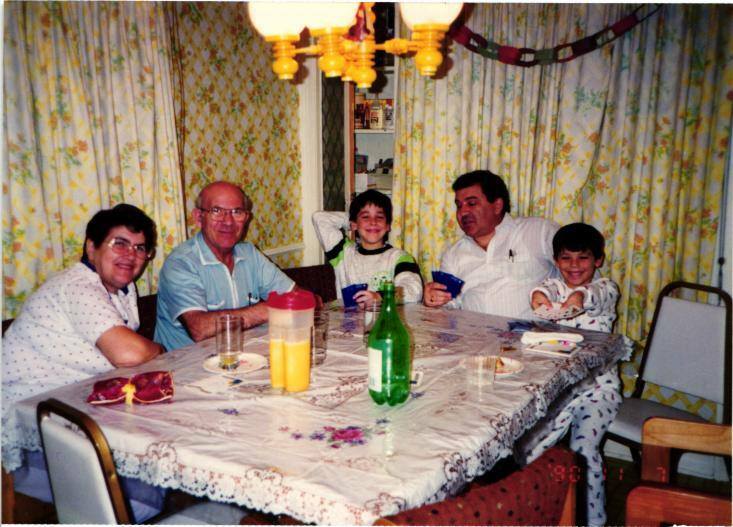 Rather than feel outcast, I couldn’t have been happier sipping on all those Diet Cokes, listening to your stories, learning about your lives, and answering your questions about my observant Jewish lifestyle in Israel. You were all absolutely fantastic, whether it was in the bright and early morning hours when most of the players and pros – save for Jason Somerville 🙂 – were still slumbering, in the hectic afternoon hours with so much happening on the schedule, in the calmer evening and nighttime hours sitting around and schmoozing in the restaurants and lounges, or in the wee hours of the morning, when I had the privilege of your company after yet another long day of important meetings. You didn’t just invite me, but you truly hosted me. As I sit here in my living room typing up these words of thanks, I still feel that the only way I could possibly say thank you would be to personally host you in some way, if you’d ever make it to my neck of the woods. The kind of people who make you feel that way aren’t just nice; aren’t just colleagues; but they are friends. Thank you all for your warm embrace; I’ll never forget it. I consume a LOT of poker media. For years, I’ve regularly been visiting sites like PokerNews, PokerListings, PokerFuse, the PokerStars Blog, and many, many others. I watch loads of poker videos, gobble up poker articles and interviews like they’re my favorite desserts, and listen to hours upon hours of poker podcasts. 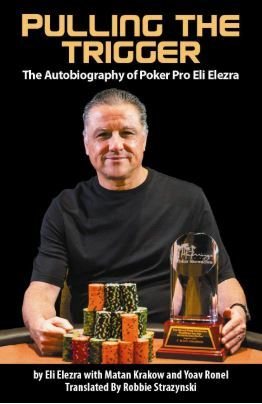 I do it because I love it, enjoy it, and am simply enthralled by the poker world. The members of the poker media who work so diligently to produce all that content have, over the years, become “my celebrities”. When my Facebook or Twitter feed shows me that a new piece of poker content has just been published, I rush to check it out and I often share it because it’s excellent, because the producer(s) should be commended, and because I feel that more people ought to know about it. It’s difficult to describe how incredible it felt to first meet my poker media celebrities in person. All of a sudden they’re no longer just names in article bylines or appearing next to the copyright symbol on iconic poker images. They’re no longer static pictures next to Twitter handles. They’re no longer just presenters who appear and perform for your enjoyment in bite-size chunks on a playlist. They’re people who invite you to join them in the hotel lobby and who stand up and smile, arms outstretched, to greet you when you arrive. They’re people you exchange jokes with in the media room. They’re people – nay – hardworking machines, who you witness firsthand pulling insane hours on their feet and behind their computer screens in order to get all the words, images, and videos to look just right. A relationship that started years ago with an email giving someone a heads up to change the copyright date on his site becomes something so vivid and real when you shake the person’s hand for the first time. You then proceed to have the most fascinating discussion about seemingly everything; from the professional to the personal; from negotiating business deals to the physics of snoring – and we had such a blast. You meet the guy who holds that video camera but never appears onscreen and watch as he magically edits and splices together fantastic footage right before your eyes. He’s then kind enough to help you figure out some settings on your own camera as you do everything you can to try and hide the fact that you’re a complete novice. You meet the person behind the camera lens and hear him describe himself as a photojournalist. Only at that moment can you fully and truly appreciate his art and handicraft. You discover that you’re not the only Jewish person wearing a poker media badge. You get invited to be a guest on your favorite podcast. STILL, just WOW! You realize that though there’s obviously a natural competition amongst the poker media sites we work for, there’s a camaraderie that transcends it all. We all have the same love for poker and we all harbor the same overall goal, namely to grow the game. 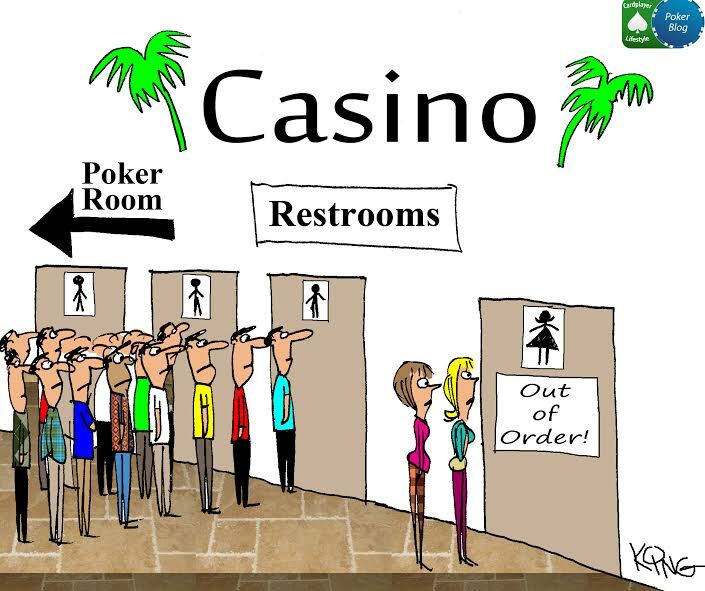 You feel like you belong in this environment because, unlike at home where you’re THE poker guy, you’re suddenly surrounded by dozens of other poker guys and gals just like you. It’s nothing short of exhilarating. 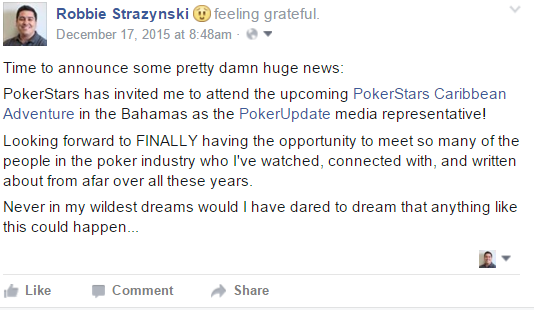 A couple years ago I wrote a “thank you” post to the poker media from the perspective of a fan. I’m still a thankful fan of yours and I always will be, but now I know you personally. I know that I run the risk of accidentally leaving someone out by trying to mention each and every one of you special people by name, but I just can’t help myself: Thank you Danny, Chad, Sarah, Sacha, Mario, Mo, Brent, Donnie, Remko, Mike, Dirk, Harmon, Brian, Ross, Joe G., Jack, Alex, Martin, Stephen, James, and Joe (Stapes). One more person who I’d like to dedicate a paragraph to here is Brad Willis. When you’re a fan of an author’s work for so many years and have read volumes of what he has written, you feel like you know him. 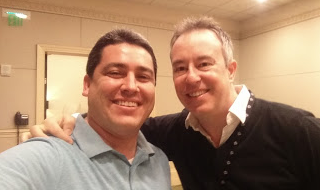 When that person is the one to whom you look up for inspiration as a writer – the premier poker writer of this generation – and you get to finally meet him after wanting to for so long, the moment literally takes your breath away. You can learn a lot by observing a person’s work, but you can learn even more by observing the humility with which a person speaks about himself, the reverence with which he speaks about his family, and the eloquence with which he speaks about everything else. Thank you, sir, for having given me the honor of buying you a beer. Now – astonishingly – I can call you all my friends. Now I can REALLY thank you for making me not only feel welcome in your world, but also feel like I’m a part of it. It was an absolute pleasure meeting you all and working in your midst. 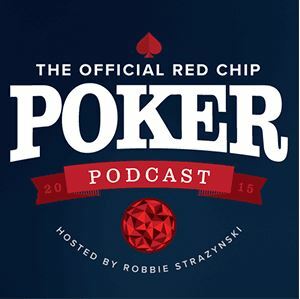 So much ink has been spilled discussing what it takes to get a poker sponsorship these days. 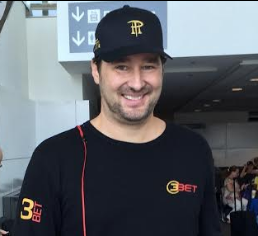 I’ll let you in on the secret: besides loving the game of poker and being successful at the felt, you need to be hardworking, down to earth, friendly, and quite frankly just a genuinely nice person. 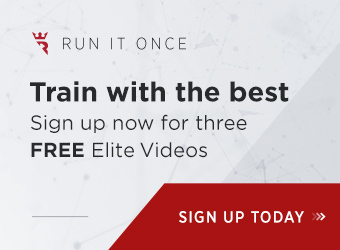 When you have the good fortune of meeting practically the entire Team PokerStars PRO and sitting with them one-on-one, as I did, you’re able to connect the dots and identify their common bond: they’ve all got those aforementioned qualities. Who wouldn’t want people with those traits representing their industry-leading brand? Of course, beyond Team PRO, there are also a select few individuals who – there’s no other way to put it – are “life ambassadors”; they fall into the same category. They’re the kind of people whose autographs anyone would want to collect. When you sit together with, chat with, and interview people like that, it’s actually easy to overcome being star struck by their celebrity and fame. They might have a lot more money in their bank accounts than you or me, but they haven’t let that affect their character. 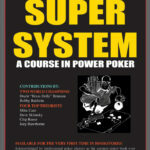 It couldn’t have possibly been planned, so it was just uncanny to hear one professional poker player after another give the same exact answer when I inquired as to the secrets of their on-felt and off-felt successes. Here’s the recipe: Hard work, dedication, passion, and constantly trying to be the best THEY could be rather than attempt to compete with others or live up to someone else’s expectation of them. What interest could a wealthy professional poker player who lives a life completely different than my own possibly have in remembering my name – even calling out to me in the hallways to wave hello – other than just genuinely being a humble, kindhearted, and decent human being? To the pros who I had the pleasure of speaking with, whether at length or briefly, and even to those of you who kindly agreed to pause what you were doing and pose for a picture with me – again I just can’t help myself: Thank you Vanessa, Jaime, Jason M., Barry, Antonio, Ari, Joey, Jason S., Victor, Eugene, Liv, Jennifer, Chris, Allen, Pierre, and ElkY. 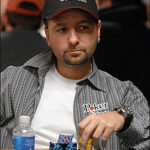 Here, too, I must dedicate a paragraph, to Daniel Negreanu. My heart skipped a beat when you and I connected on social media for the first time a couple years ago. Back in November, you gifted me with the amazing birthday present of an in-depth, 90-minute-long Skype interview, the almost year-long preparation for which I don’t think I’ll ever surpass. You’ve also kindly given of your time to me on multiple other occasions, for which I’ll forever be thankful. Yet, I still had butterflies in my stomach when you opened the door opened to your hotel room and popped out with that unmistakable smile. You probably didn’t realize, but it was the first live interview I had ever done. Your candor put me at ease and helped me overcome my nervousness for the duration of the trip both on and off camera. Sitting just two rows in front of you in a theater full of poker’s elite a few days later, as we watched the KidPoker documentary, still seems surreal. If this image could sing, you’d be dancing… just like I did. 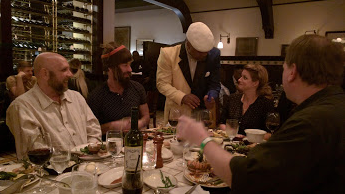 I kid you not… ALL of this kosher food was surprise hand delivered to me. I’m so glad my media friends got to enjoy it as well. …and there’s so much more I could share with you. At the airport on my way home, I took a video of myself to record my thoughts, so that I wouldn’t forget how I wanted to conclude this post, once I’d finally finish writing it up. I didn’t want to forget to publicly give thanks to James, David, Shira, and Yuval and her video team. 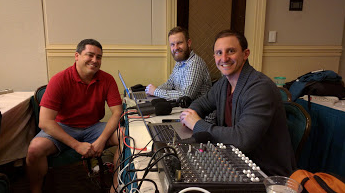 Going into the PCA with a good, comprehensive plan made all the difference in the world and allowed us to maximize our output and enhance the quality of our content production for PokerUpdate.com; major kudos to you all – the unsung heroes of my trip! That last note of thanks brings this post back full circle; more than anything, I wanted this essay to be about gratitude. We all need to be more grateful in life rather than have so many expectations of others and be so focused on the negative. We arrive at a poker tournament venue and “somehow” everything just runs smoothly. Somehow, all those tables, chairs, chips, and flat screens get set up. Somehow, tons of equipment arrived there and got placed in exactly the right locations around the entire vast complex. Someone took the time to design, order, and distribute (thank you, Emma!) all that swag you got to take home. A heck of a lot of people also stuck around after we all jetted off in order to clean up after us and store everything away … until it’s time to bring it all back out again next year. Sure, we can choose to laugh about $9 “poker cupcakes” and lament the imperfect Wifi network, but why make these “issues” the focus of our discussions when there’s just SO MUCH to be thankful for? Life ought to be about being enthusiastic and passionate about what you do; otherwise, what’s the point of getting up in the morning? Love what you do, embrace it, and be the best you can be at it; whatever it is. People notice when your light starts shining. Create your own luck, keep on grinding, and hopefully you, too, will have the good fortune to experience the type of success you can’t even dare dream of. I treated the entire trip as a once-in-a-lifetime experience. Even if I ever have the privilege of doing live poker media coverage again someday, there’s just nothing like “the first time”. Absolutely great read. Your writing captures exactly how excited you obviously were :). Good for you man! That was sweet – thank you, Sam.